When winter arrives so do the freezing cold temperatures. If your home is uncomfortable through the winter, it may be that your current heating system is no longer doing a good job, and it may be time to consider heating replacement. Whether you have an electric, oil or gas furnace, or a heat pump, your system should do a good job at making your home feel comfortable, no matter what the temperatures are outside. Replacing an old furnace or heat pump with a new system can make your home comfortable and lower your energy costs. 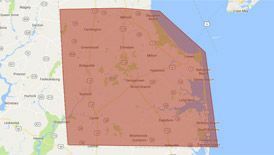 If you need heating replacement service in Delaware or the Maryland area, contact us today! Age – If your furnace is more than 15 years old or your heat pump is upwards of 20 years, it is likely your system will need to be replaced soon. Older systems do not have the same energy efficiency as new systems, and technology tends to change every 5 years or so. Repairs – If you find that your repair costs are mounting, and you are constantly calling for repairs on your furnace or heat pump, you may be better off investing that money into a new system. While a new system may seem costly upfront, it will save you money in the long run. Efficiency – As your furnace or heat pump ages, it loses its ability to heat your home efficiently. If your energy bills have had a sudden rise in the last month or so, this could be a clear signal that your furnace or heat pump is nearing the end of its life. Effectiveness – If you find that certain areas in your home are less comfortable than others, this could mean that your current heating system can no longer keep up with your home’s heating demands. Your system will need to work harder, your home will be uncomfortable, and your energy costs will rise. If your heating system is showing signs of age or it is losing its effectiveness to efficiently heat your home, it may be time for heating replacement. No matter what your heating needs are, we can replace your current system with a new system that will be both efficient and effective. 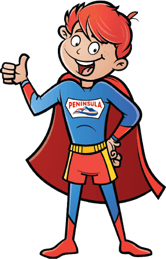 If you are looking for a team of knowledgeable heating professionals that know how to install heating systems correctly in your home, Peninsula can help. We pride ourselves on our high-quality services. We offer a complete range of heating services to help you keep your home comfortable. If you are looking for heating replacement services in Delaware or Maryland, contact the team at Peninsula online or give us a call today at 302-629-3001. To find out more about our heating services in Delaware or Maryland, contact us today!